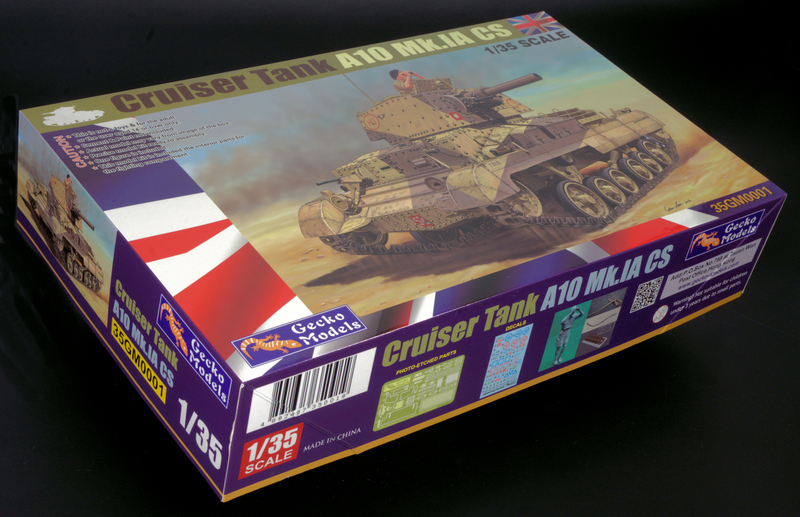 See Paul Lee breathe a sigh of relief as he finally gets to take on a kit WITHOUT a full interior in Gecko Models new 35th scale Cruiser Tank A10 Mk. IA CS kit. We want to see more builds from this new company and what better way to start than "cruisin' "? 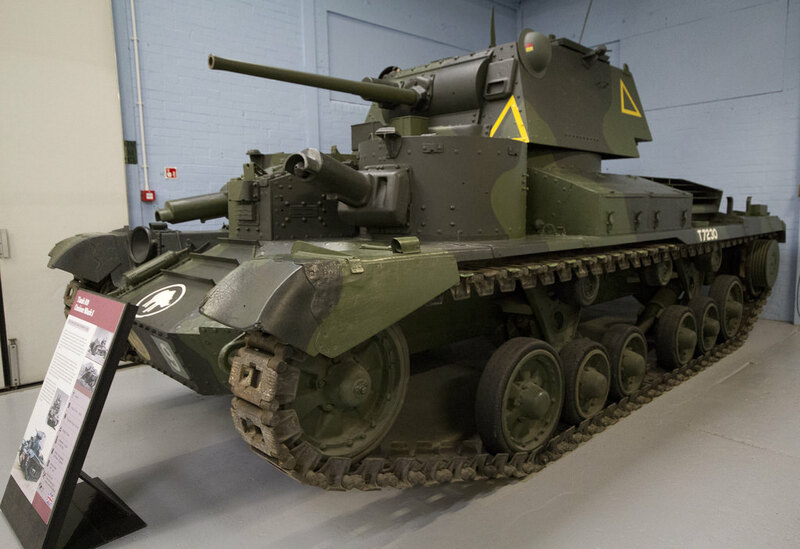 Between the wars, the British developed a tank doctrine of specialized tanks for specialized roles. 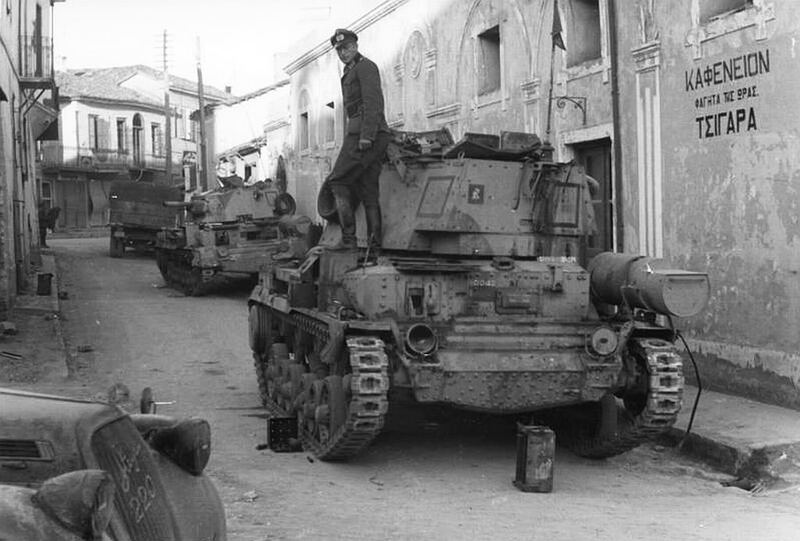 One of these was the Cruiser tank which was designed to be fast in order to exploit breakthroughs and cause chaos and destruction behind enemy lines. The A9 was one such design, but was found to be too lightly armoured and so the A10 was developed with increased armour, although unsurprisingly, this reduced the speed so that the A10 was no longer suitable as cruiser tank. 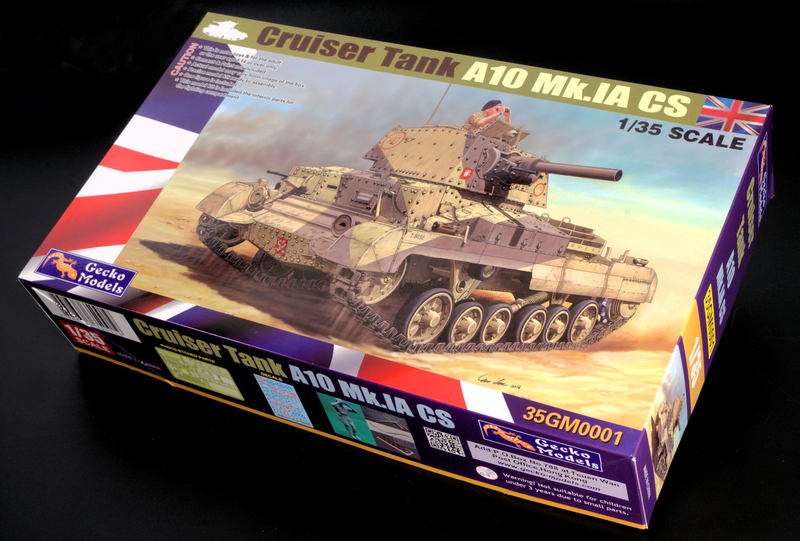 It has often been lamented that British armour has been neglected by the model manufacturers, so it was a very nice surprise that new kid on the block Gecko Models was releasing a series of Cruiser tanks. 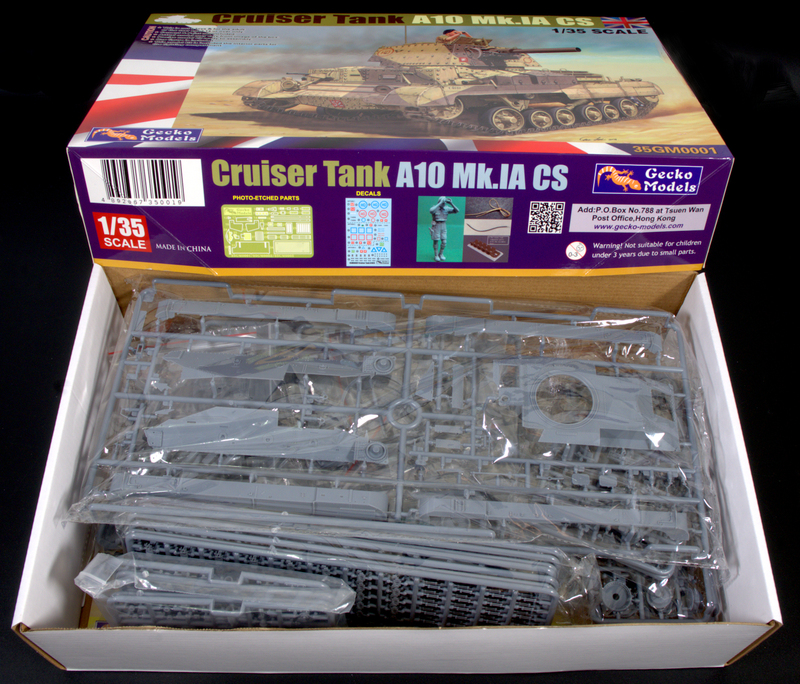 This boxing is the aforementioned A10 Cruiser Mk IA CS, and looking through the contents of the box, I was very impressed by how good the mouldings looked, especially the bolt detail although I have read that some people find the bolts to be too over exaggerated. Having been “worn out” by the full interior of my last build, I was somewhat relieved that this kit only has a partial interior. Surprisingly, I found pictures of the interior of this tank to be hard to come by, despite the surviving example at the Bovington Tank Museum, but I came across this series of videos on Youtube called Inside the Chieftain’s Hatch, and found this “guided tour” to be quite informative, and useful starting point to those looking to flesh out the interior of this kit. Construction starts with the lower hull which comes in individual panels, and the fit is absolutely perfect. The sprue connection points are raised from the edges of the parts so you won’t damage them while cutting them off the sprue which is a great feature, just make sure to remove all the connection points and you will not have any problems with fit at all. Extra Thin Cement will be your friend for this kit. As you can see, there definitely isn’t a full interior in this kit. I used Mig Ammo’s 0195 Silver Metallic, which sprayed very well and gave a nice smooth finish, and weathered with a Black and Raw Umber wash. The upper hull is a fairly straight forward affair, with the driver and bow machine gunner hatches being able to be posed open or closed. The size of the hatches are fairly large so you do get to see a fair amount of the driver’s compartment. The bow machine gun mount is a fairly fiddly affair and I had to use a bit of force to push the parts together for the interior mounting. The driver’s instrument panel is also placed a bit far back for some reason when compared to its position in the video above, but that is an easy fix. The fighting compartment looks extremely bare at this stage, but there will be a dais for the turret basket which will help fill this area later on. There is some photo etch, and for the most part fairly straight forward, although there are no plastic alternatives. The suspension units are fully workable so you can put the model on an uneven base if you wish, however the plastic springs are slightly flimsy and have a tendency to bend like a slinky rather than expand and compress like a real spring. Gecko has conveniently provided a separate wheel face and tire to help make painting easier, but have made the inner face separate rather than the outside face. The tracks are workable, and they will be the most time-consuming part of this kit and I would definitely recommend doing them in sections rather than trying to do it as a whole run in one sitting. Each link comes in upper and lower halves, which sandwich a pair of connecting rods between each link, and you get a jig to assist you do this, but the gluing area in each link is very small, and the holes in each link persuaded me to use a normal styrene cement for this job rather than an extra thin one. The fenders go together very easily, but the etch does add a degree of difficulty, particularly with the smaller bits holding down the tool at the front left fender. You get four fenders in the kit and didn’t realise that the right and left ones are different which led to some panicky moments looking for the matching pair when they don’t exist. The lack of plastic options really increased the difficulty of this kit, especially the mounts for the exhaust because the instructions are a bit vague and don’t give you the angle the mounts are supposed to be at. However as always with PE, they really do add that extra bit of refinement to any model, and the water can rack and its water cans look great. Attaching the water can rack to the back of the hull presented another problem because there is only a small lip to sit the rack on. Normal cement wasn’t doing the job so I used Liquid Nails to attach it after the painting was done. The turret plates didn’t appear to sit quite right around the base, but they did go together. You get the gun breech and radio for the interior of the turret which are visible from the open turret hatches if you choose to open them. The dais is attached to the turret by a sheet which roughly goes around a quarter of the turret ring, but the attachment area is small which gave me problems getting the dais to stay at the right angle. I eventually attached the dais to the inside of the hull, which means the turret isn’t rotatable anymore due to the connection point with the sheet, but gives more to look at inside the hull when the turret is removed. Three schemes are provided in the box, two in Greece, and one in North Africa. All three are two-tone splinter schemes, with the instructions calling for BSC 64 Portland Stone, and BSC 49 Light Purple Brown, although there is some debate about whether it should be Portland Stone or Light Stone. 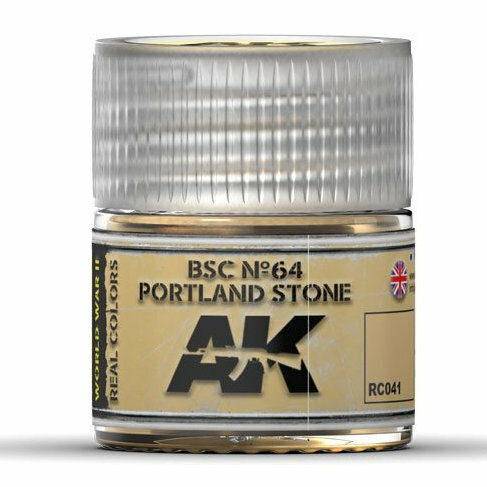 For this build, I decided to go with the kit recommendations of Portland Stone. 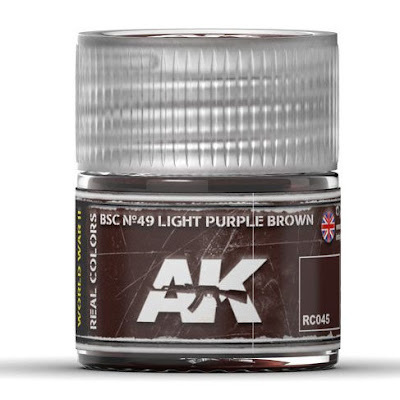 AK Interactive has both these colours in their range of paints, but unfortunately my regular model supplier was out of the acrylic colours, but they did have the Real Colours series of acrylic lacquers in stock so I thought I’d give them a go. These acrylic lacquers are advertised as being compatible with other brands so I decided to test them with Tamiya acrylic lacquers and thinners, and can report that I had no issues mixing the colours, or thinning them and spraying it through the airbrush. I started with a black pre-shade and then sprayed the lower hull with the Portland Stone colour. The tracks were sprayed with a track colour, and easily wrapped around the running gear and closed up by using the drive sprocket as a jig. I then attached the upper hull and the fenders and the turret, masking off the tracks and spraying the Portland Stone base colour, and modulating the upper surfaces by adding a few drops of Tamiya white. I then masked off the appropriate areas with Tamiya tape and sprayed the Purple Brown areas and surprised that I had masked it successfully without any paint bleeding. Being an early war vehicle, I decided not to add too much weathering as it would have been kept in good condition before the war, and didn’t spend too long on the front lines, so I mixed up a heavily diluted wash of black and raw umber and applied it all over the vehicle, and also some streaking. A pin wash brought out the bolts over the hull very nicely, and then applied some light dust to random areas that would have gotten dusty, and also on the tracks. Overall, I must say that I was very impressed by Gecko’s first up offering and while the plastic parts of the kit go together almost perfectly, the fiddly tracks and PE, particularly the exhaust mounts really do increase the level of difficulty of this kit so I wouldn’t be giving this kit to the kids or inexperienced builders. However, for regular builders with an interest in British armour, or just looking to do something non-German, then this kit is definitely worth a go. Thanks to Gecko Models for sending this kit to build and review.